Trustee Jim Broadhurst talks about the coming presidential search. 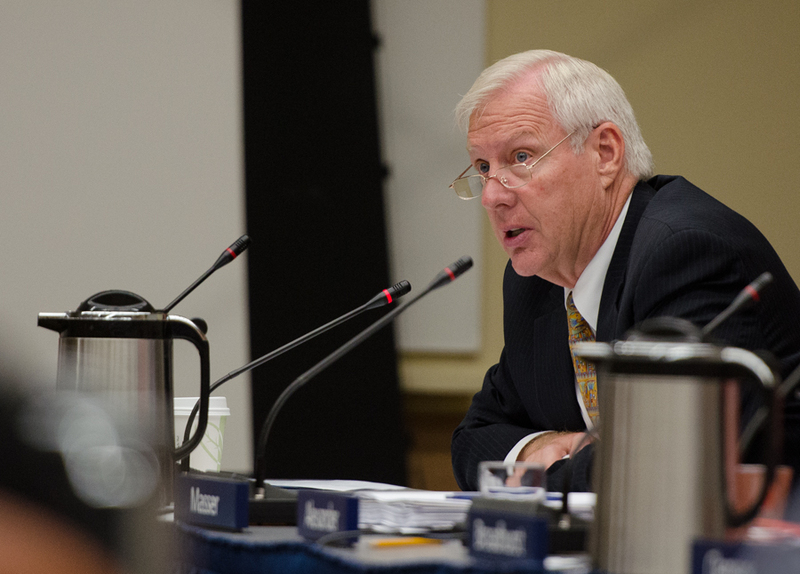 Penn State trustees hope to have a new university president announced by about January 2014, six months before current president Rod Erickson retires. 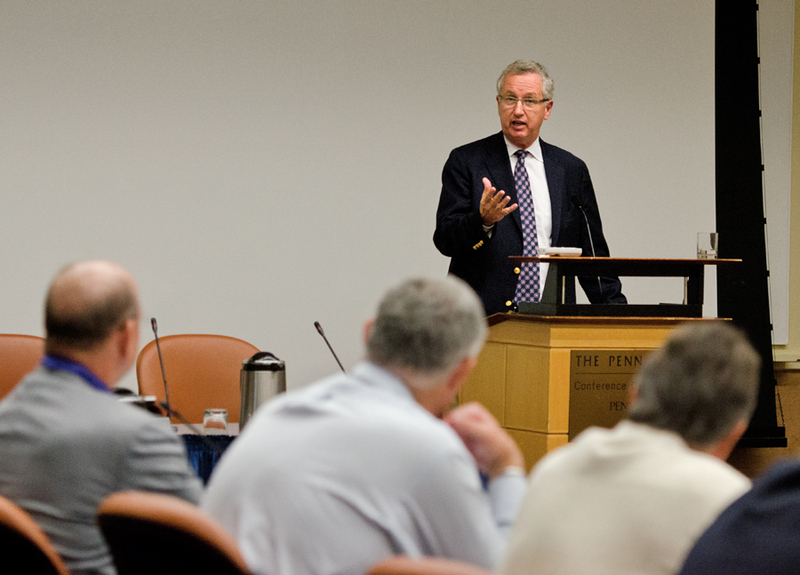 Jim Broadhurst ’65, chair of the trustees’ committee on governance and long-range planning, outlined a proposed search process during the trustees’ meeting today at University Park. His committee will spend time during the trustees’ next two meetings (September and November) working through the details of the search process, with the hope of launching the search around the time of the January meeting. Broadhurst proposed that two groups be constituted: a Presidential Selection Council, consisting primarily of trustees, and a Presidential Search and Screen Committee, which would have representation from faculty, students, and alumni. Penn State president Rod Erickson. Broadhurst proposed that the Selection Council might also include the chair of the university’s fundraising campaign, the gubernatorial-appointed student trustee, and a representative from Penn State Hershey, among others. The Search and Screen Committee could include, among others, the president of the Alumni Association. But, he stressed, the exact composition of the two groups is something to be worked out over the next few months. The Selection Council, Broadhurst said, would “establish the criteria, qualifications, and previous experience required of a candidate for the position,” and set the time schedule for the process. The Search and Screen Committee would actually conduct the search, with the help of an executive search firm, and bring back to the Selection Council with an unranked list of candidates to consider. Interviews could begin as soon as next June and would continue into the fall, with a decision made by December or January. Broadhurst went into rapid-fire, hard-to-keep-up-with detail as to who might serve on which of the two groups and the timeframe for the process. When he was finished, trustee Mark Dambly ’80 joked that “You were losing me for a minute, but then I came back. Both Erickson and Broadhurst stressed how important confidentiality will be to the search; for one thing, candidates for a position like this wouldn’t want their current employer to know they’re considering leaving. Entry filed under: Board of Trustees. Tags: Jim Broadhurst, Marianne Alexander, Mark Dambly. I have a candidate– Condalesa Rice. Still waiting to hear about Freeh Recommendation 3.1 Think that needs to be addressed long before any talk about a president starts.